NOM-007-SCT-2-2010, Markings on containers and packages designated for the transport of hazardous substances and wastes. Published in the DOF Sept. 6, 2010 NEW !! We are a MEXICO based company. 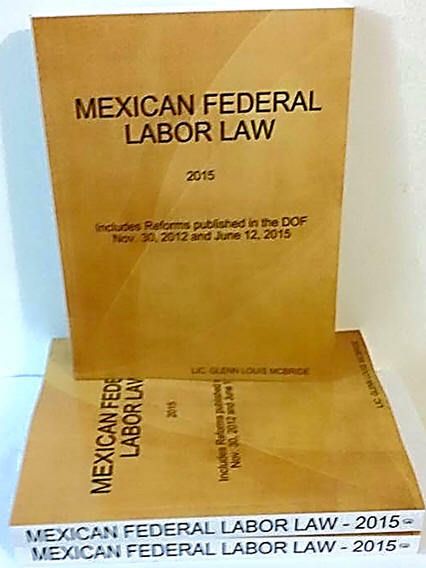 We provide English translations of Mexican Laws, Regulations, and Standards. We are Mexican attorneys providing legal consulting and services -Are you being sued or fined? We can help you. We translate your documents - Spanish to English or English to Spanish. We perform Health, Safety and Environmental compliance audits. We provide immediate assistance in the event of a Mexican Health and Safety or Environmental compliance audit - contact us immediately if you have been fined or shut down. Lic. Glenn Louis McBride provides translations of Mexican legislation that are protected by Mexican and International copyrights. You cannot distribute, sell, publish on the internet or share documents with other parties. You cannot purchase a document for someone else without permission. We take legal action against any violation of our copyrights. Read our Copyright policy or contact us for more information. Is your translation up to date ?